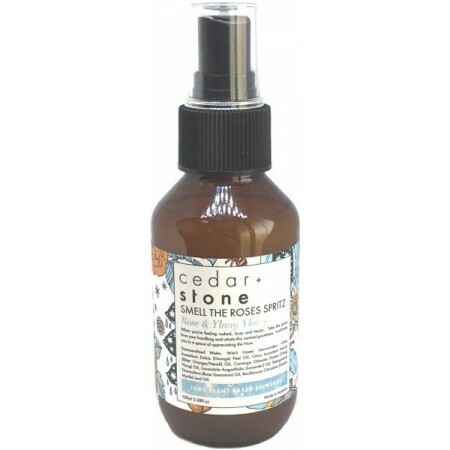 A plant based spritz to help you stop and smell the roses. Rose and ylang ylang bring relief from feeling rushed, busy and hectic to help you re-centre so you can appreciate the Now. 100ml. 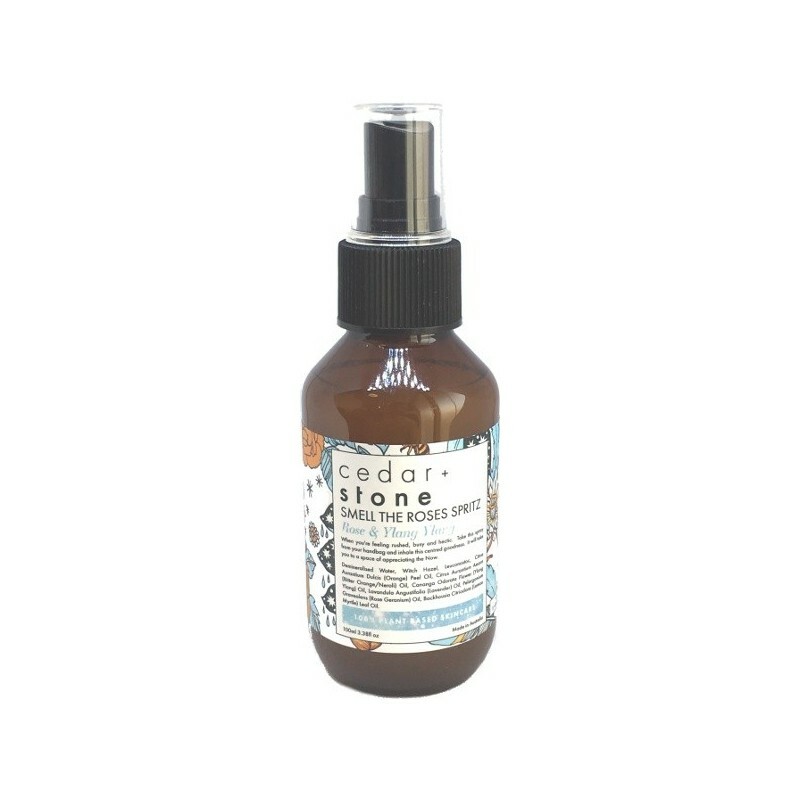 Spray the room or around your being for aromatherapeutic effects. Rose and ylang ylang create a calming effect and promote a positive outlook. Demineralised water, witch hazel, leuconostoc, citrus aurantium dulcis (orange) peel oil, cirtus aurantium amara (bitter orange/neroli) oil, cananga odorata flower (ylang ylang) oil, lavandula angustifolia (lavender) oil, pelargonium graveolens (rose geranium) oil, backhousia citriodora (lemon myrtle) leaf oil. 100ml (3.3fl oz.) Amber spray pump bottle. Browse our other room sprays.